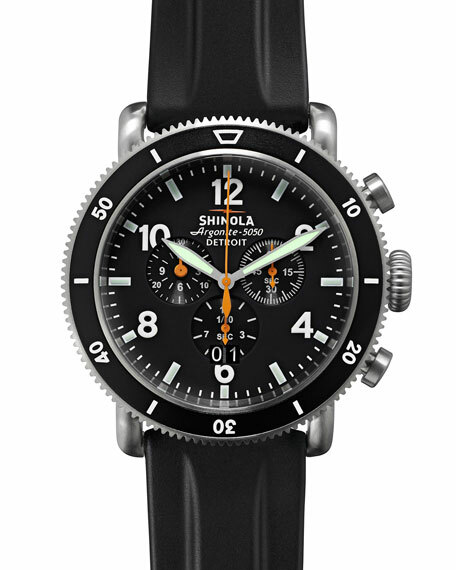 48mm Limited Edition Black Blizzard chronograph watch by Shinola. Inspired by the Dust Bowl of the 1930s and those who weathered the storm. Matte titanium case with brushed finish. 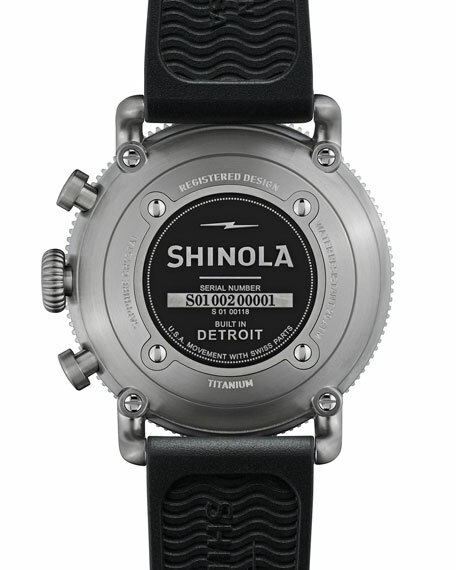 Titanium bracelet and interchangeable USA made rubber strap option. 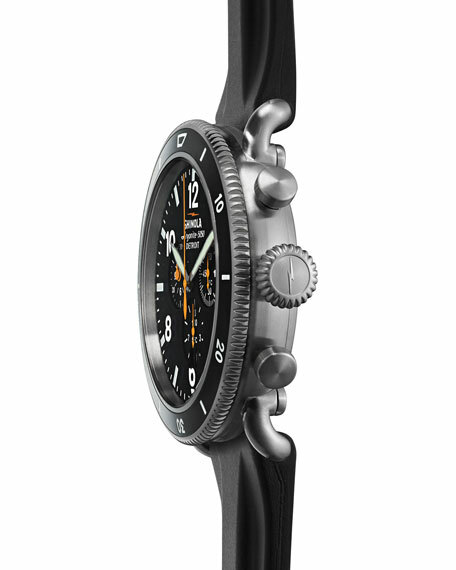 Black dial with Super-LumiNova hands, Arabic numerals, and hour markers. Screw down crown and black turning top-ring bezel. 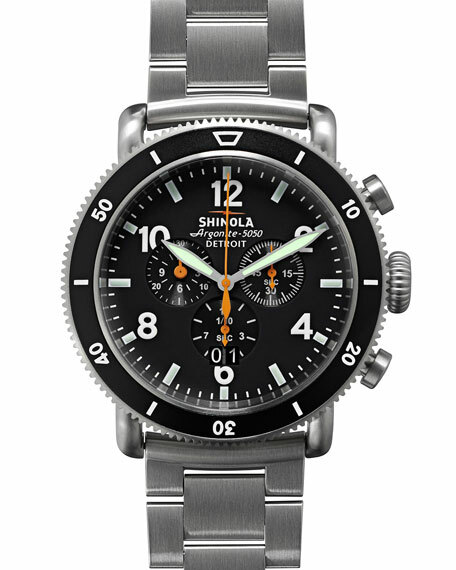 Hours, minutes, small seconds, date indicator, and stopwatch function with two subdials. 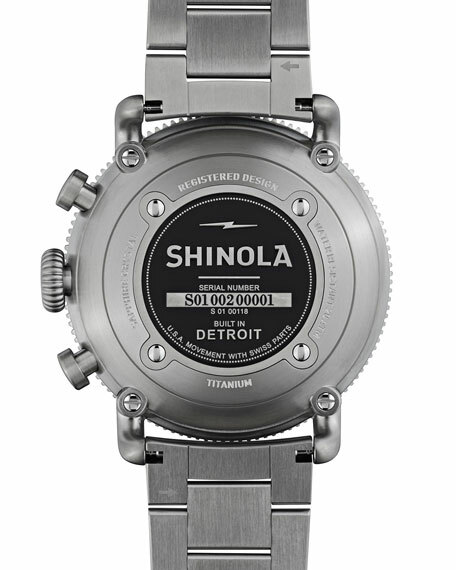 Shinola Detroit-built Argonite 5050 movement built with Swiss parts. HandAssembled in USA with Swiss and imported parts. 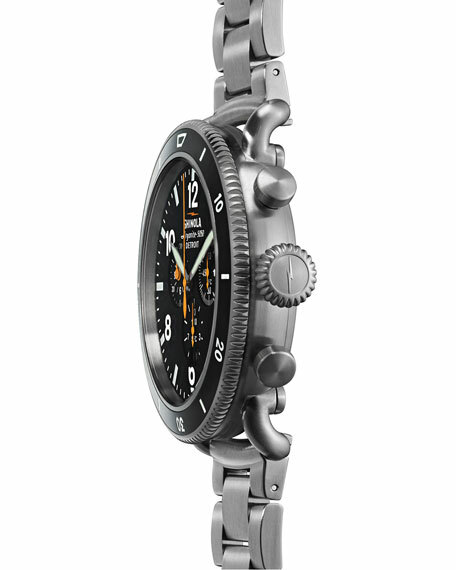 Black Blizzard is a special edition timepiece that comes on a titanium bracelet, but there is a replacement rubber strap included in the packaging, as well as a strap replacement tool and a coffee table book.